Sometimes you read a book that changes the way you see the world - and you wish you had read it decades before. That is my reaction to A Little History of the World by Ernst Gombrich. Gombrich is best known for his book The Story of Art, which is widely used in university courses around the world. History was originally written -- for children -- by Gombrich when he was twenty-six years old in 1935. 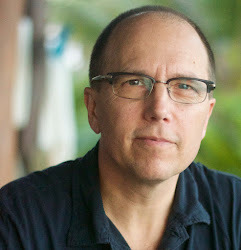 He completed the writing in an astonishing six weeks. He updated it and translated it into English himself in the late 1990s. This book is a gem, not only for children, but for everyone. One of my own beefs about history courses in school was that each class usually jumped in deep into a single place in time. For me, it was difficult to place any of this in context. Gombrich's History does a marvelous job of putting events that span thousands of years into context. It is written simply, but not simplistically, and friends of mine who are PhDs in political science have loved it. You don't have to agree with his interpretation of all historical events; in fact the book itself provides a platform from which you can later dive deep into any of the periods covered, and draw your own conclusions. 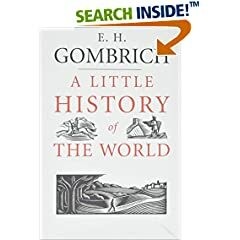 In 40 brief chapters, Gombrich relates the history of humankind from the Stone Age through World War II. In between are historic accounts of such topics as cave people and their inventions (including speech), ancient life along the Nile and in Mesopotamia and Greece, the growth of religion, the Dark Ages, the age of chivalry, the New World, and the Thirty Years' War. Much of this history is told through concise sketches of such figures as Confucius, Alexander the Great, Hannibal, Jesus Christ, Charlemagne, Leonardo da Vinci, Napoleon, and Columbus. Get this book - it is a delight.